London World Peace Forum: Sowing Peace fourth event and encounter with rope walkers. Sowing Peace fourth event and encounter with rope walkers. Another Successful event last night. Five of us gathered and two more came later. The topic, “is religion the cause or cure of the World’s Ailments” was discussed and the conclusion was that it is the cure. 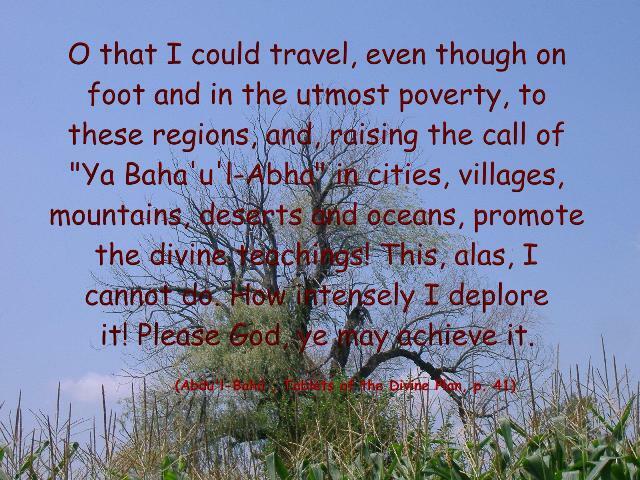 This is not surprising because all who attended are Baha’is, but we also talked about why some may think of religion as a cause of the world’s ailments. When we finished I saw a couple of young men walking on what appeared to be a rope suspended between two trees. I had to go have a closer look to see how they did it. It turned out that they were using belts that are used for climbing and had a bit of a stretching component to them. They graciously told me about their efforts and that the one gentleman had just learned how to do this on that same day. Now that I had expressed interest in what they were doing, they were also curious about the meeting that was taking place in the pavilion. I explained a bit to them about the Sowing Peace Initiative and left them with cards. They said that they would definitely check out my web site and my blog. I will take this opportunity to express my thanks to you two fine gentlemen for taking an interest in my initiative. Feel free to leave a comment. If you use anonymous you don’t have to be logged in to any system. I also applaud you in your efforts. It is good to see young people involved in physical activities instead of sitting behind a computer playing games all day. 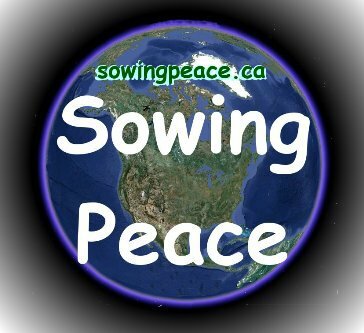 If you want to participate in any future Sowing Peace events, they will be listed on www.sowingpeace.ca when plans are made. We could also have you demonstrate your rope walking to our other participants. Email me at george@sowingpeace.ca if you are interested.